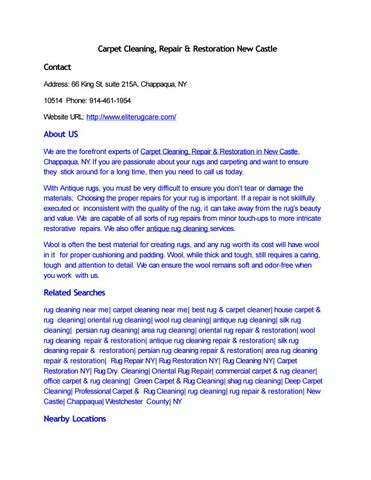 About US We are the forefront experts of Carpet Cleaning, Repair & Restoration in New Castle, Chappaqua, NY. If you are passionate about your rugs and carpeting and want to ensure they stick around for a long time, then you need to call us today. With Antique rugs, you must be very difficult to ensure you donâ&#x20AC;&#x2122;t tear or damage the materials; Choosing the proper repairs for your rug is important. If a repair is not skillfully executed or inconsistent with the quality of the rug, it can take away from the rugâ&#x20AC;&#x2122;s beauty and value. 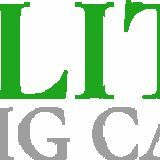 We are capable of all sorts of rug repairs from minor touch-ups to more intricate restorative repairs. We also offer antique rug cleaning services. Wool is often the best material for creating rugs, and any rug worth its cost will have wool in it for proper cushioning and padding. Wool, while thick and tough, still requires a caring, tough and attention to detail. We can ensure the wool remains soft and odor-free when you work with us.